February will be our biggest ever month for Digital Marketing, meaning we need your help! We’re hiring for a Digital Marketing Executive to join our wonderful Digital Marketing Team. We’re growing quickly and we’d love to see you join us on our growth journey. We’re getting bigger and bigger with every month that goes by. Interested in the role? Great! We’d love to see your passion for Digital Marketing flow and so please send your CV to Sam Betts with a kickass cover letter or you can apply on Indeed here. Fanatic is a fast growing digital agency based in Bristol. 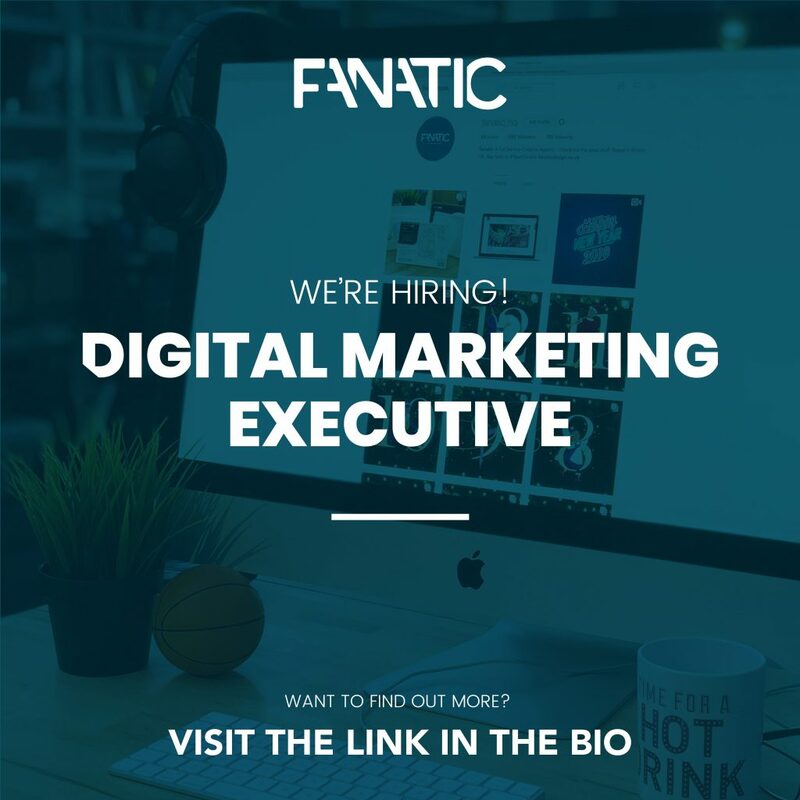 We’re currently looking for an experienced Digital Marketing Executive with strong content marketing and SEO experience to join our team. You will be joining an experienced yet young company at an exciting stage of growth and will be given the opportunity to grow in your role and get hands-on with projects from day one. We believe in building a great place to work and an environment where we do our best work for clients. We feel passionate about building a great atmosphere for our staff and believe in good work/life balance. We are a full service creative agency working across brand, design and website development projects in addition to digital marketing. Clients range from Bristol start ups to FTSE 30’s in a wide range of sectors from publishing, finance, food, recruitment and tech. We’re expanding rapidly and it would be great to find someone who wants to develop, while we develop the business and the team.